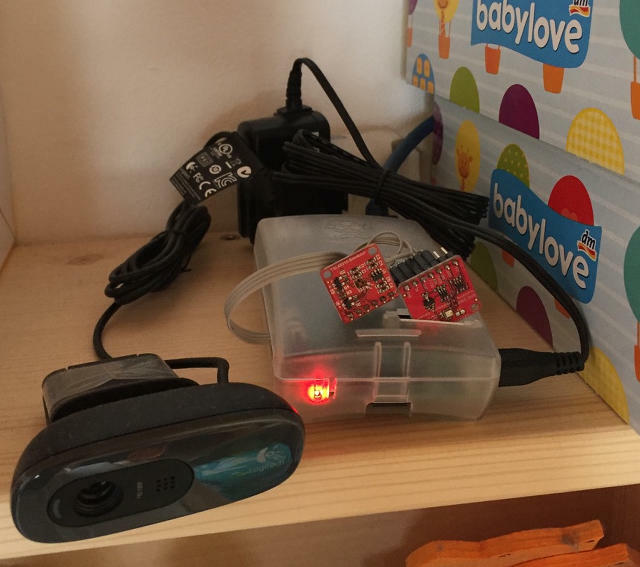 pifon is a project that realizes an audio baby monitor with 2 (or more) Raspberry Pis. A RPi is running the fon part of the project that records a continous audio streams and keeps looking for audio events, i.e. your baby cries and then reports those events to the other RPi called mon. There a display shows you the events and also starts streaming the audio from the fon machine so you can hear your little ones immediately. mon has a flexible UI interface and currently supports a 16×2 LCD display with 5 button input to control the monitor. A simulator written with PyGame lets you run the mon on a Mac/PC, too. An audio simulator in fon unit lets you test your setup easily. 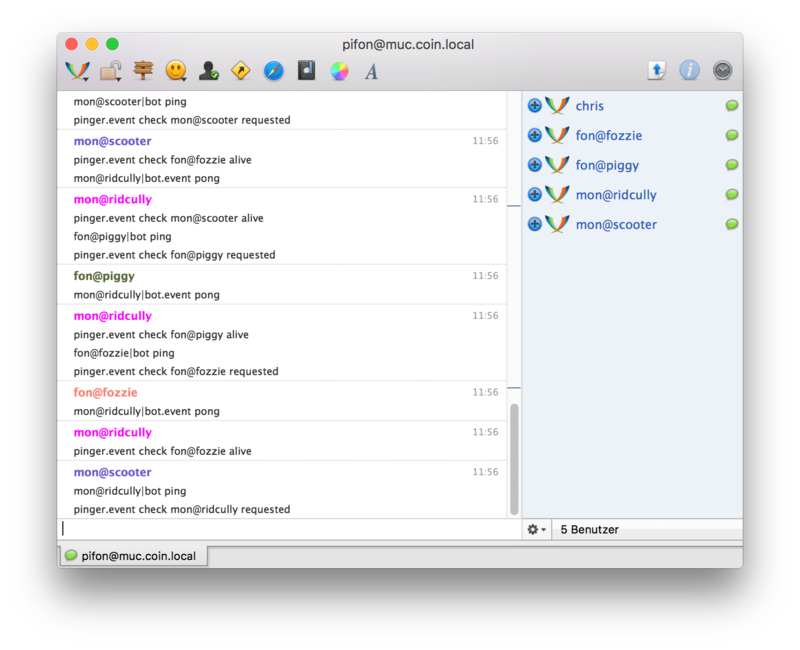 Use an XMPP based chat server to communicate audio events and allows you to use standard chat clients to read the events. 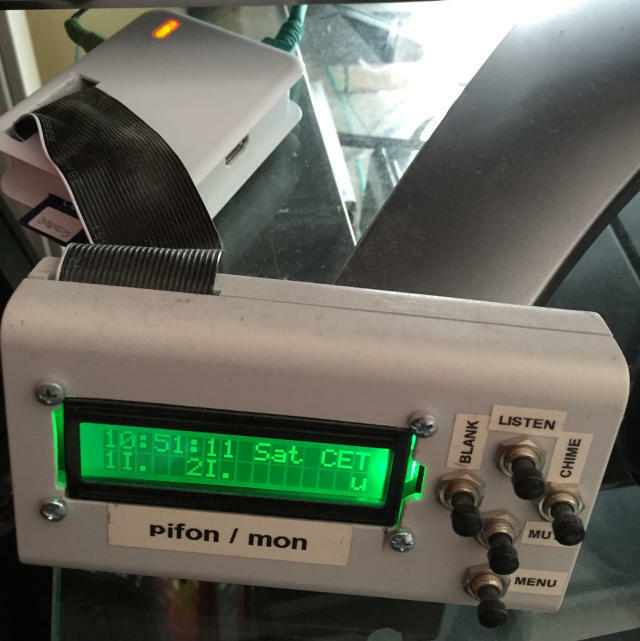 Low-latency audio streaming is realized by directly linking the recording device on fon with the player on mon by a SSH pipe. 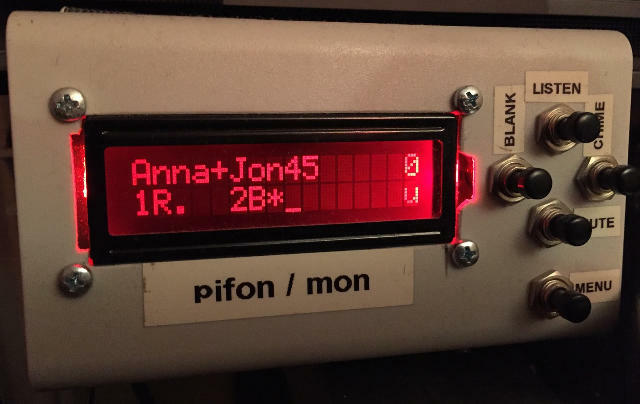 The pifon mon unit. LCD display is in a seperate housing. The 5 buttons allow you to control the fon. A pifon fon unit in the baby’s room. A USB webcam is used for recording audio. 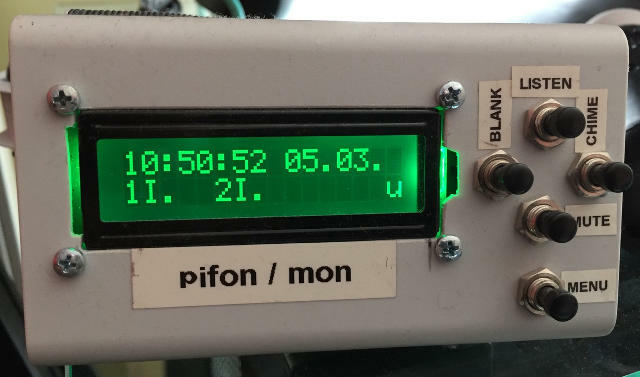 Mon is idle and displays clock and date. Below see two idle fon clients. Player is muted (‘u’ on the right). 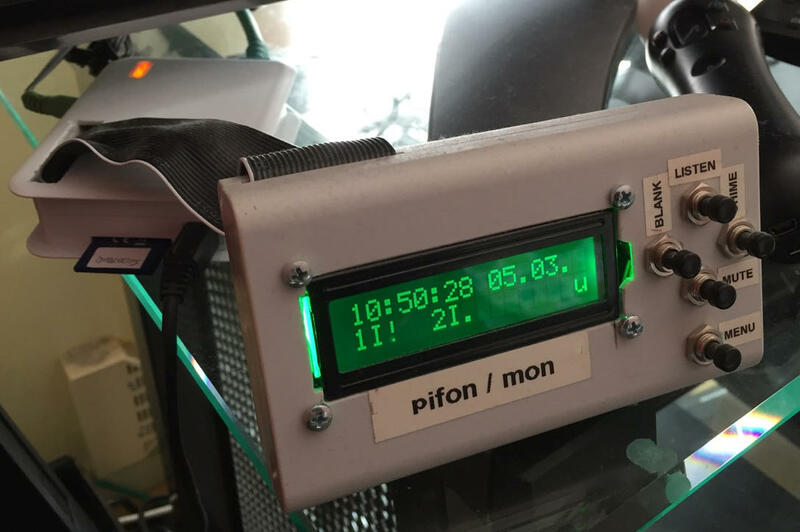 Pifon: An audio baby monitor made with Raspberry Pi #piday #raspberrypi @Raspberry_Pi « Adafruit Industries – Makers, hackers, artists, designers and engineers! The simulator simulates the output to the Adafruit LCD and renders it on a PyGame window. It replaces the API I use to control the real LCD using the Adafruit Python library with one that does the graphics rendering to your PC screen. So no GPIO level simulation. only a LCD API level replacement.